It is my absolute pleasure to welcome June to my blog today to chat about her novel and her writing. Thank you so much June for coming along and giving so much time to answer my questions! Can you start by telling me a little bit about yourself and your journey to becoming a published author? I’ve been writing for years. I’m from a scriptwriting background originally, creating short plays, radio, and I had a full-length play produced. Then in 2011, I was runner-up in the Times/Chicken House Children’s Fiction Competition with a YA novel I’d always been meaning to write. 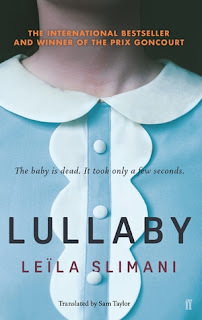 Three agents and several near misses later, I finally found my niche writing Adult psychological thrillers, and eventually the deal came through with Killer Reads for Losing Juliet. So it’s been a long apprenticeship but worth it in the end. And even the best writers at the top of their game will tell you it’s always tough and that you can never stop learning. What was the main inspiration for "Losing Juliet"? A road trip I made in the late eighties. It was full of ‘What if?’ moments, and writers love those! Which character did you enjoy writing most - Juliet, Chrissy or Eloise? Why? Actually I think all three of them because they have such an individual identity and voice. In the earliest drafts I concentrated on Eloise as she is the one who is driving the narrative, both in the past and in the present. It was important to get her right. I also liked the contrast between Chrissy and Juliet, the way their relationship evolves, and I loved writing some of the really tense scenes between them. I think this book would make a perfect book group read as there are lots of difficult decisions, choices and promises made by most of the characters at some point in the book. If you could set a book group one question, what would it be? The truth is “never that simple” ... So are there some secrets which should go to the grave, for everyone’s sake? The novel has quite a complicated plot in the sense that there are two timelines in play, three characters who all have issues to work through and several different dilemmas / choices faced by characters along the way. How did you go about planning and structuring of the novel? That’s a good question! The plot came to me over a period of time. When I say ‘period of time’, I do mean years! I had the basic story with the two female characters then gradually, as their characters formed, the other elements of the plot came together. The daughter arrived a bit later on. Once all the strands began to link I did some loose chapter outlines. I like to have the story in place before I start writing. That said, it’s always a good feeling when your characters surprise you and start to take control. You have to cut them some slack sometimes. Can you tell me a bit about your writing routine? In spite of my insomnia, often forcing me to get up early, I’m so not a morning person! I’m very envious of people who start writing at the crack of dawn, finish at two and then have the rest of the day to do other things. Mornings for me are for admin, social media, any other work I have to do, chores. I begin writing after lunch and sometimes into the evening if I’ve nothing else on. When a deadline looms, however, I suddenly become a morning person because then I am driven by fear. Which authors do you admire or have been inspired by? When I was in my early teens I read Dostoyevsky’s Crime and Punishment and Zola’s Thérèse Raquin and was instantly hooked on all that psychological tension. The cat and mouse relationship in Crime and Punishment is just brilliant, and in Thérèse Raquin the tension is almost unbearable because it’s so claustrophobic. The characters are paralysed in so many ways. (Don’t want to give any spoilers away). I love books where not much necessarily happens, but actually so much is going on. Do you have another book in the pipeline? Is it in same genre? Yes, I do. It is in the same genre because I just love a good ‘gets-under-your-skin’ psychological suspense novel. It’s what I like to read and also love to write. Well I can't wait to read it when it's published! But in the mean time I wish you every success with Losing Juliet and it's release on 25th November 2016. Thanks again for coming along and answering my questions in such detail! Hope to catch up with you again soon! June Taylor is from Leeds and very proud of her Yorkshire roots. For many years she was a TV promotions writer and producer before turning to writing plays and fiction. She was runner-up in the 2011 Times/Chicken House Children’s Fiction competition with her YA novel Lovely me, Lovely You. 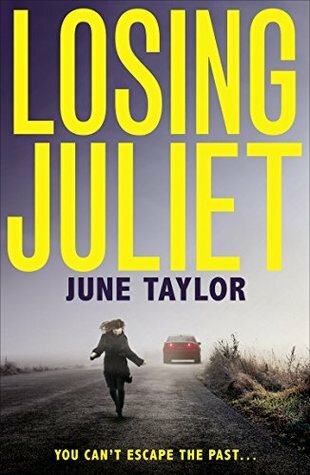 Losing Juliet is her debut novel for Adults. June is active in the Yorkshire writing scene, including serving on the board of Script Yorkshire and taking part in Leeds Big bookend.